On the farm, the eggs cool down after laying and are either transported on the same day or stored for a few days before transportation to the hatchery. 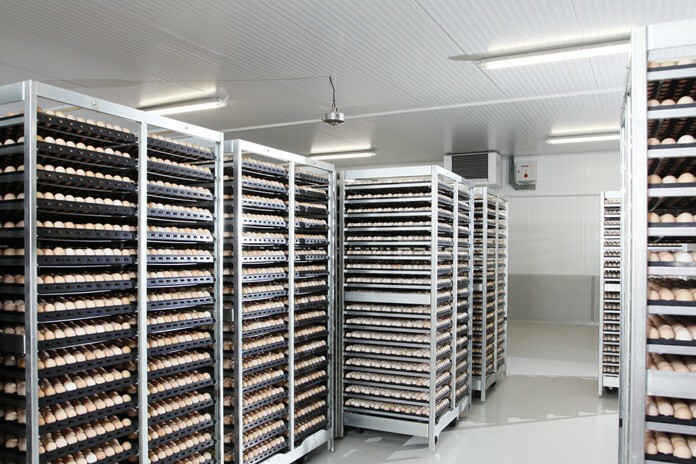 In the hatchery, eggs are stored for different durations prior to setting. 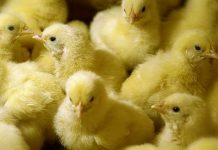 In both situations, the embryos need to be preserved in optimum conditions, to minimise or ideally avoid any adverse effects on hatchability and chick quality. 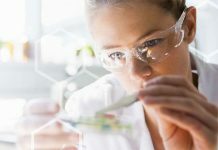 Embryonic development slows down and is eventually arrested when temperature drops below ‘physiological zero’, or the point at which temperature is low enough to maintain embryonic cell activity at a greatly reduced but reversible level. The embryo still has the potential to continue its development if temperature increases again. For this reason, the term ‘arrested development’ is preferred to using ‘stop development’. 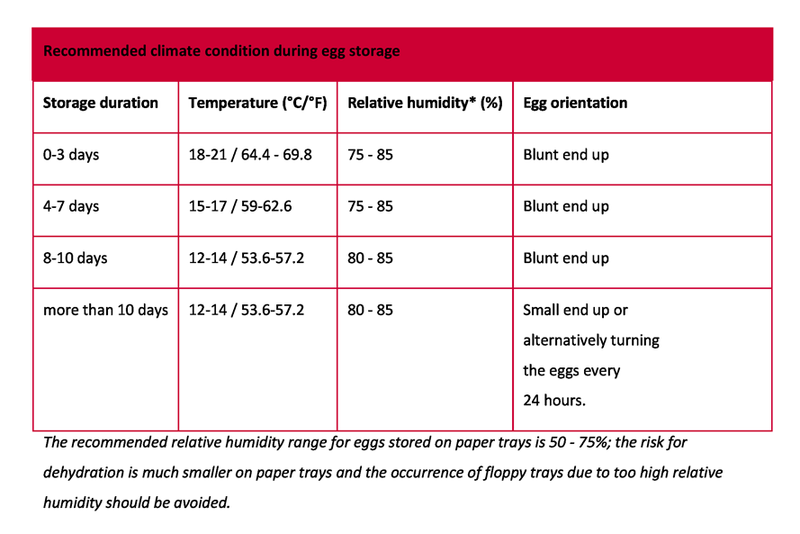 Consequently, we accept that ‘physiological zero’ is not restricted to one specific temperature (set point), but to a range of temperatures (12-20°C) depending on the context of egg handling and storage length. This also explains why different set points for ‘physiological zero’ are defined in literature. The definition of ‘physiological zero’ was first introduced by Edwards in 1902 as the temperature below which there is no embryonic development: 21 °C. Proudfoot (1969) reviewed the terms of reference for ‘physiological zero’ to include storage temperatures from 11.5 to 21 °C (In: Carter and Freeman, 1969). More recently, Fasenko (2007) introduced the term ‘embryonic diapause’ as an alternative for the traditional ‘physiological zero’: an updated definition to acknowledge that some cellular metabolic processes continue, but gross morphological (shape and structural) changes are arrested. Embryonic diapause has been described for many vertebrate species, including turtles, marsupials and even mammals such as roe deer. Embryonic diapause, or embryonic dormancy, describes a stage at which metabolic activity and cell division is down-regulated or arrested – and can be regarded as a strategy for coping with temporarily unfavourable environmental conditions. In chicken, embryonic development is arrested after laying and cooling the eggs down to room temperature of between 22-25 °C. During cooling under optimal conditions (temperature/no draught), the embryo develops from gastrula stage IX-X (described by Eyal-Giladi, 1976) to stage XII-XIII (Gilbert, 2006). The definition of physiological zero is restricted specifically to stages XII-XIII of development. If the embryo has developed beyond this stage and primitive streak development has started, reduced temperatures will slow down development and finally cause the death or early mortality of the embryo. This may explain higher rates of early mortality when eggs are kept too long in the nests (Fasenko, 1991, 1999) and cooling is too slow. 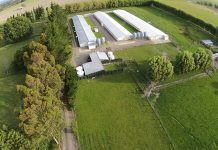 Accept that physiological zero can apply across a range of temperatures, from 12-20 °C, depending on context (on the farm, during transport or in the hatchery). Keep in mind that if eggs are stored at 18-21 °C, embryonic development has slowed down but not stopped completely. 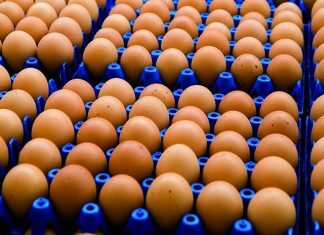 Reduce storage temperatures if eggs are stored for more than seven days. 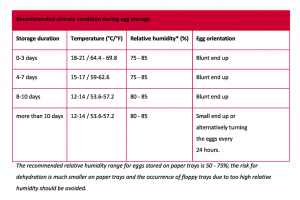 Apply pre-storage temperature treatment of the embryos if hatching eggs can only be stored at 18-20 °C. Define a key management protocol for monitoring and evaluating temperature and relative humidity in the breeder farm, during transport and in the hatchery.